I’ve been struggling to determine what exactly draws me to pairing these two. Could it just be that they are both three-pieces? Maybe. Is it that they are somewhat from the same geo-region? I doubt it. Initially, I thought the Scapa should be paired with something as glorious and polished as Dark Side of the Moon or Homogenic. Those options didn’t feel right since they were made by huge teams with huge money. The Scapa Distillery team consists of three mighty individuals (John, Michael, and Brian) who create an amazing whisky on Orkney, an archipelago of northern Scotland (so north, it’s damn near due west of Stockholm, and that’s Eddard Stark north). The Scapa 16 Year Old mixes the best flavors Speyside (sweet, floral) and Islay malts (peat, brine) for a unique experience. The main flavors are citrus, salt, vanilla, heather-honey, and peat. It is almost as if the scotch is a perfect pairing within itself. Everything seems well-crafted with a natural progression: the nose starts with the citrus and floral notes, seamlessly moving to a definite heather-honey, salt and vanilla main, while the finish is darker, brinier, and oakier still. This is an excellent malt and well worth trying. It is more expensive than some of the previous pairings (not absurdly), but well worth the extra coin. The Scapa is a rewarding malt that would work for any purpose. 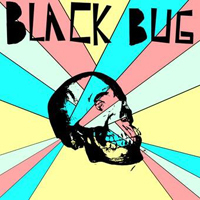 Black Bug is a three-piece synthy, gloomy, noisy band from Sweden. Their self-titled LP has recently been re-released in higher numbers on CD (from one of my all-time favorite labels, tUMULt). The album a far cry from the pristine production of albums like Homogenic or Dark Side of the Moon, though no less perfect. The overall sound is a pushed-hard, overdriven gnarl reminiscent of that blown-out live YouTube video sound. There are elements which seem familiar, the perfect riot grrl vocals, the red-lined punk guitars, distorted synths, but like the Scapa these elements combine to make something greater than their sum. Everything throughout the album feels intentional and honest. Check out the video below and you’ll see what I mean. Pick up a copy of the album and blast it while driving for your summer road trip, as you slaughter Legion members at Caesar’s Camp, or of course pair it with a nice dram of the Scapa 16 Year Old.